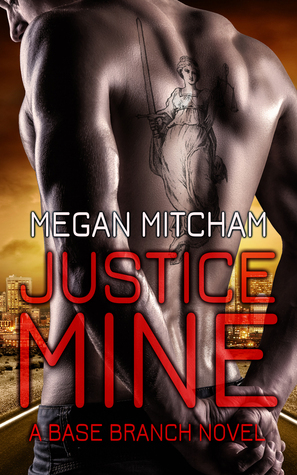 Book Blitz for Megan Mitcham’s Base Branch Series + Excerpt + Contest! Do you love romance? What about suspense? 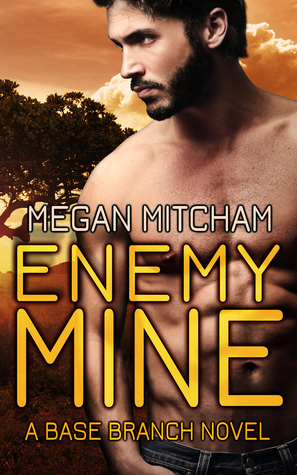 If you said yes to either take a look at Megan Mitcham’s Base Branch Series and enjoy the excerpt from the first novel. 😀 I have Enemy Mine, Justice Mine and Stranger Mine on my towering TBR pile. 😉 Oh! Make sure you leave a comment telling us what new release book you are looking forward to reading this fall for a chance to win your choice of ebook from the Base Branch Series + enter the tourwide giveaway for the $25 prize! The moment Sloan crossed the threshold into the sitting room all eyes were on her. 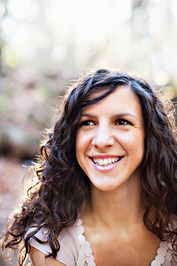 Not in the, “Wow, she looks so good,”way, but in the, “Oh, she just stumbled on the high wire,”way. Lana perched on the edge of a settee next to Devereaux, legs crossed, leaning toward him, but her eyes sparkled with interest in Sloan’s direction. She, and the other ladies in the room, awaited her fall. Sloan knew how to take a hit. It was second nature for her to roll a shoulder, step back, block, weave, or absorb the force and use the momentum to throw her attacker off balance. Yet, there was nothing she could do to stave off the impact of Baine’s steady gaze. He looked at her and saw…everything. Like every secret she harbored, every hope and fear, were unveiled for his eyes alone. His most prominent weapons called her attention first. Hooded by dark lashes, Baine’s blue eyes glinted in the final shreds of daylight. A fine suit matching the color of his dark hair covered his body and nearly hid the butts of two handguns nestled below his shoulders. Thighs about the diameter of her waist fit easily in his slacks and revealed no trace of a holster. Not that she discounted the probability he had one or two somewhere on his lower half. The scruff on his chin had turned into the makings of a close-cropped beard, and she discounted its significance…right up until she was forced to swallow the saliva that had pooled in her mouth. “You look stunning,”he said when the toes of her heels were only a few feet away from his surely custom dress shoes. “You don’t look stunned to me,”she replied, searching his face for any reaction. Who: One lucky duck commenter on The Book Tart! SOsoso many new books I am looking forward to. Annie Seaton, Jami Davenport, Allie Adams, Incy Black, and other fav authors all have books coming out soon!